Following the success of last year’s Vintage Motors Festival, the Federazzjoni Maltija Vetturi Antiki (FMVA) is again organizing this popular event on Saturday and Sunday 12th & 13th March. The Malta leg of this event will start on Saturday at 14.00 in Mgarr, have a half-way halt in Siggiewi at 15.00 and will finish at the Popeye Village limits of Mellieha at 16.30. The Gozo part of the Festival starts on Sunday morning at 10.30 at Ghajnsielem, with a half-way halt at Marsalforn and will finish at the Mgarr Yacht Marina at 13.30. 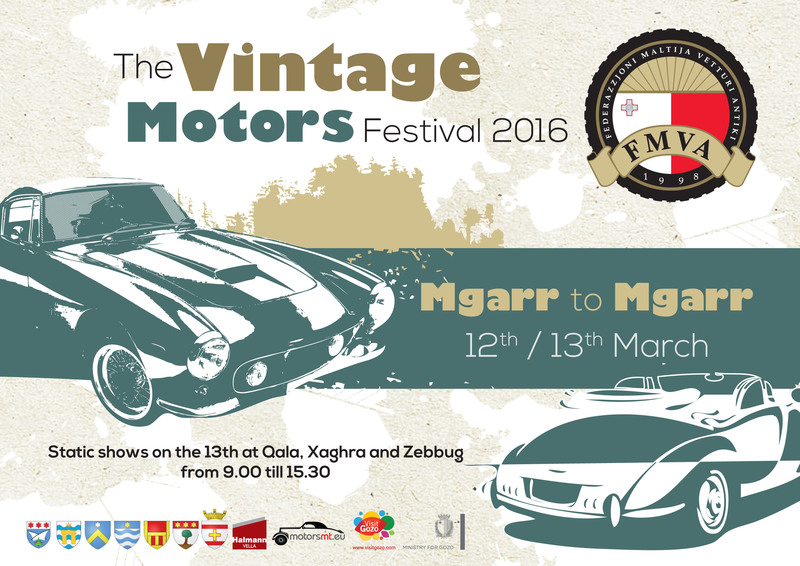 During the Vintage Motors Festival there will be shows at all the above-mentioned places as well as at Qala, Xaghra and Zebbug in Gozo. Members of the public are invited to see a wide range of beautiful classic and vintage machines dating from around the 1920s to the late 1970s.